Boots hopes to work with the NHS to roll out its sore throat test and treat service across the country, the multiple has told C+D. NHS England announced in 2016 it was backing the “scaling” up of an on-the-spot sore throat swab service in pharmacies – first piloted by Boots in 2014 – to relieve pressure on the NHS, free up GP appointments and tackle antibiotic resistance. Since then, Lloydspharmacy and Superdrug have launched their own versions of the service, while the Welsh government announced last year that it would fund a “phased introduction” of a similar service across the country. A sore throat service is “definitely something we’re wanting to work with the NHS on, so we can roll that out across the profession, not just in Boots”, the multiple’s pharmacy director Richard Bradley told C+D in an exclusive interview last month. The “overall sentiment” towards Boots’ sore throat service has been “hugely positive”, Mr Bradley added, and the multiple is keen to influence it becoming a nationally commissioned service. “We’ll definitely see [the sore throat service] as a national service in the future,” he claimed. C+D has asked NHS England whether it plans to commission a national pharmacy sore throat service. Mr Bradley also said Boots’ urinary tract infection (UTI) test and treat service, which the multiple launched across 37 branches in January, is “going really well”, and the results are “really positive”. The service allows customers to test for infection at home using a urine kit (pictured above), following a consultation with a pharmacist or pharmacy advisor. “It’s early on at the moment…but we’ll look to roll that out further,” Mr Bradley said. 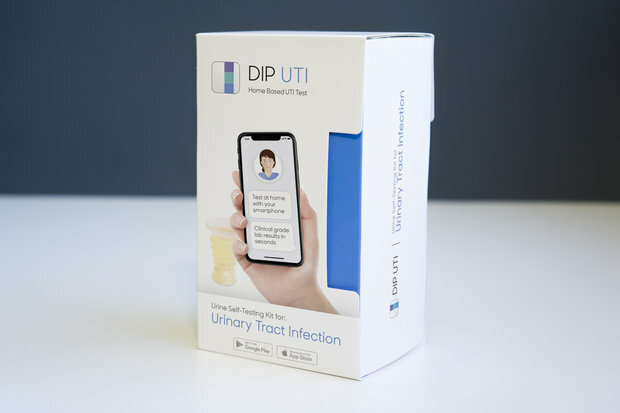 Boots is planning to publish an evaluation of the UTI pilot in an academic journal “in due course”, it told C+D last week. Would you like to offer a sore throat service? Wow ! It's almost as if they have contacts in government giving them inside info. If Boots think it is a good idea in the long run it is probably bad for everyone including themselves.